I just signed up for my first ever e-course: NOW YOU on self-portraiture. I’ll receive email assignments three times a week for six weeks, and there’ll be discussions and a private Flickr group to share results with the other participants. I’ve seen a lot of these e-courses advertised over the last couple of years, and particularly in the craft blog sphere. They seem fairly expensive (this one is $75) but as such they’re also an interesting example of a new kind of cottage industry, where women (usually women as far as I have seen) sell their services to other women. Looking at a list on Studio Mothers, the quality seems varying – often these e-courses seem simply to be ways of packaging a series of blog posts in a way where you can sell them. I suppose that’s fine. Most of the courses do promise more than “daily inspirational emails from me”, and there’s usually a strong emphasis on community, on finding oneself, on finding ways to be happy within everyday constraints and without grand outward changes – the material for this course mentions finding beauty in our changing bodies, and repeatedly uses the phrase “everyday beauty”. Many blogs share this urge towards self-improvement. 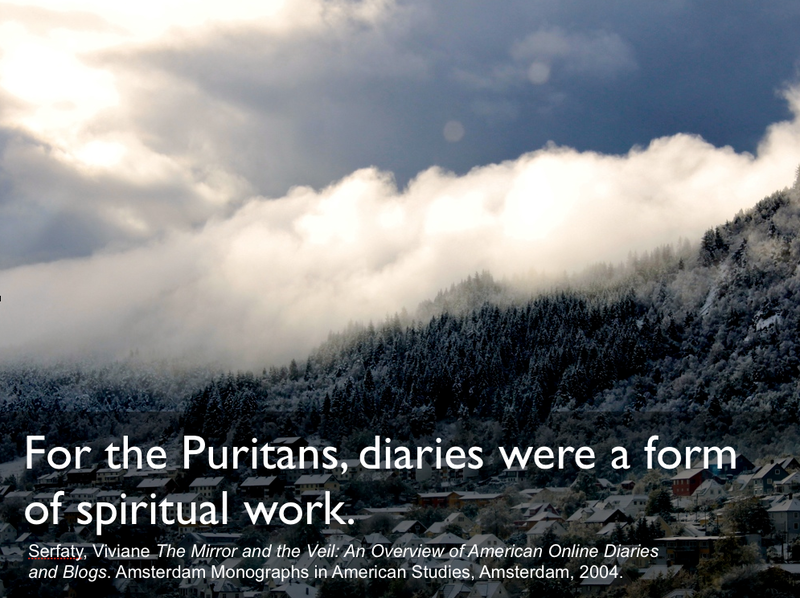 In her book on blogging, Viviane Serfaty argued that blogs follow the Puritan tradition of the diary as a form of spiritual work, meant to be shared with others and seen as a constant tool for self-improvement. 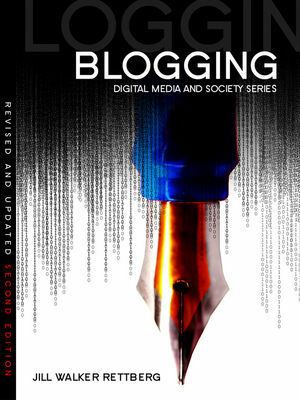 Blogging itself is also seen as a tool for achieving happiness: I have a book on my desk titled Blogging for Bliss: Crafting Your Own Online Journal, and there are, of course, e-courses helping you to become a better blogger. In presentations about blogs, I often use this image (the view from my window in particularly dramatic lighting) to illustrate bloggers' urge for self-improvement - or at least self-understanding. As a researcher I’m very interested in the many ways we represent ourselves online. 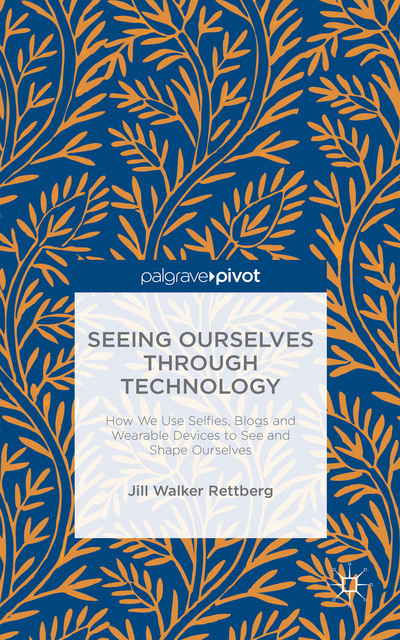 In blogs, obviously, but also in self-portraits and through the automated templates social media provide us (free preprint here). So learning more about both self-portraits in general and about how people think about self-portraits intrigues me. As a human being I like the idea of working to improve at seeing myself – like many of us, I tend to dislike photos of me, and while I’ve tried taking self-portraits I’ve not had a lot of luck. Challenging myself to experiment with this for six weeks sounds like it would be both fun and satisfying. I’ll let you know how it goes. And while I’m curious about this as a researcher, I’ll be attending the course as a human being, not in order to do research on it.